Two Crises Highlight China's Social Media Struggles Beijing is cracking down on social media following a dissident's escape, apparently to U.S. protection. Its response is markedly different from its handling of the scandalous downfall of once-powerful politician Bo Xilai, when rumors were allowed to fly. China is clamping down on social media as it grapples with a crisis over the escape of a high-profile dissident, apparently to U.S. protection. The case presents new difficulties for a Chinese leadership already struggling to deal with the scandalous downfall of a powerful politician, and it complicates U.S. Secretary of State Hillary Clinton's visit to Beijing this week. Yet China's use of social media in dealing with these two recent crises has been a study in contrasts. Weibo now has become the public sphere of Chinese politics. It has become a market of rumors. There's a long list of forbidden terms on Chinese Twitter-like services, words for which searches are banned. In recent days, the list got longer still. 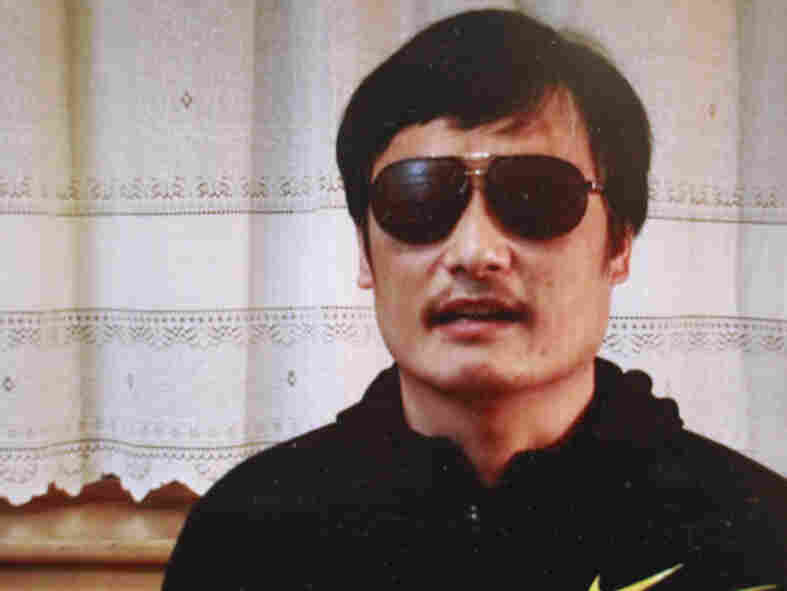 Freshly banned words include "blind man," "U.S. Embassy" and "consulate," as well as "Chen Guangcheng," the name of the blind lawyer who escaped last week after 19 months under house arrest. Chen, who exposed forced abortions by local officials and subsequently served four years in prison, is believed to be under U.S. protection, though this is still unconfirmed. Despite the ban, news of his escape was all over Weibo, China's biggest microblog service. Netizens were referring to him with code words such as "going into the light," which is a play on his name. "Weibo now has become the public sphere of Chinese politics," says Michael Anti, a columnist who tracks Weibo closely. "It has become a market of rumors." The Internet is making it harder for China to control messaging, he notes, but the government is becoming more sophisticated. "Even rumors are not equal on Weibo," Anti says, adding that certain rumors are permitted, while others are deleted and their posters punished. Such distinctions were clear recently, when powerful Chongqing politician Bo Xilai was sacked last month. Bo's name had been sacrosanct — no online criticism permitted — until a few months ago, when his former police chief tried to seek asylum in a U.S. consulate. Suddenly, unofficial accounts of the scandal were posted online, and not deleted. The saga took an even more dramatic turn when journalist Yang Haipeng announced on Weibo that the mysterious death of Englishman Neil Heywood was indirectly linked to Bo. Blind lawyer Chen Guangcheng, seen in this image from a YouTube video, escaped last week after 19 months under house arrest. Searches for his name are banned on China's Twitter-like services. "I knew the news for about 10 days before releasing it," Yang says. "I didn't dare believe it. Then reliable sources told me about it again while we were drinking. They were from the legal world, and they didn't leak it on purpose." Yang's post was not deleted, despite the sensitivity of the allegations. Days later, the government confirmed that Bo's wife, Gu Kailai, was a prime suspect in Heywood's death. Beijing seemed to be tacitly allowing the online demonization of Bo. Unconfirmed rumors swirled about his wiretapping of senior leaders, about massive corruption and that the motive for Heywood's murder might have been to stop him from exposing transfers of vast sums of money overseas. Yang believes a disinformation campaign could have been under way. "At first, the government panicked because true news was coming out. Now they've calmed down," he says. "It's possible that they are releasing lots of false information on purpose to confuse people, so no one can tell what's real and what's false." 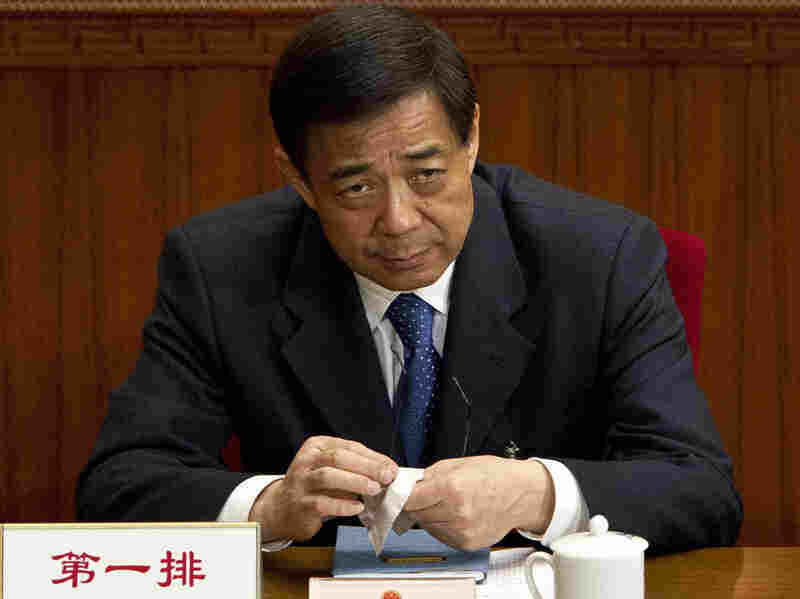 Bo Xilai attended a March plenary session of the National People's Congress in Beijing shortly before he tumbled from power. These rumors gave Beijing cover to move against Bo's followers inside the government. "That's the typical Mao Zedong strategy: Mobilize the people against the local factions," says Anti, the columnist. "Weibo has already become a battlefield for public opinion. If it is a battlefield, they should occupy instead of destroy that." But in the case of Chen, the escaped lawyer, the strategy has been completely different. The censorship machine has tried to deny his existence rather than allow his demonization. That could be because sensitive negotiations with the U.S. about his fate are ongoing. Charlie Custer of the translation website ChinaGeeks.org says another factor could be that his case is more potent. "The whole Bo Xilai thing is sort of like watching an opera or watching a movie. It's very entertaining and very interesting, but it doesn't cause the average person to think, 'Wow, that could happen to me,' " Custer says. "Chen Guangcheng comes from a rural, poor background, so he strikes a chord with a lot of people. Then seeing his family — these people who are completely innocent of anything — be arrested and held without trial or charges, that does resonate with a lot of people." On the streets, many ordinary people are baffled by recent events. "I don't believe anything," says a 50-something who gives his name as Mr. Sun. "Ninety percent of what you hear is lies. There's no truth anymore." Such views highlight a real danger for Beijing. The government is trying its hardest to manipulate social media, but the truth is that the online world and official discourse have become parallel worlds, growing further apart day by day. And that widening gulf is undermining the government steadily every day.